The all new Platinum 2 Group Silhouette is the smaller version of the 3 group with all the same fantastic characteristics. Designed to work all day no matter how hard you work it , looking sensational whilst its working tirelessly for you. Designed with elegance and style with consideration to a high daily work load. Pierro Platinum Silhouette combines all the respected features of all our other models making it the best looking work horse coffee machine around . 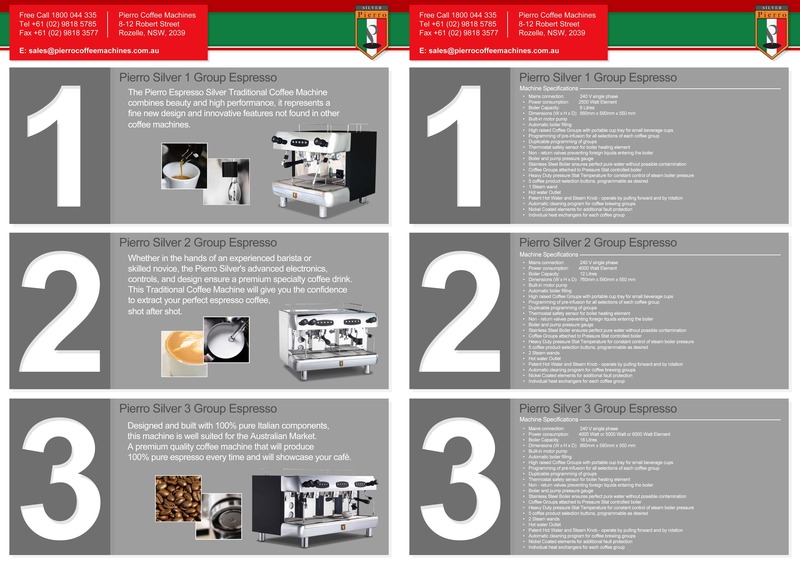 Shiny polished stainless steel with a Fantastic LED rear panel combined with stainless steel groups heads with LED downlights, perfect high volume extractions every time Pierro is a modern sales company and encourages businesses to buy coffee machines online to reduce their purchase costs. Pierro Platinum Silhouette is an elegant espresso coffee machine, never missing a beat, no matter if in the hands of a skilled novice or an experienced Barista, the Pierro Platinum’s controls, advanced electronics, and design ensure a premium specialty espresso coffee drink every time. This modern Commercial Coffee Machine will give you the confidence to extract your perfect espresso coffee, shot after shot. 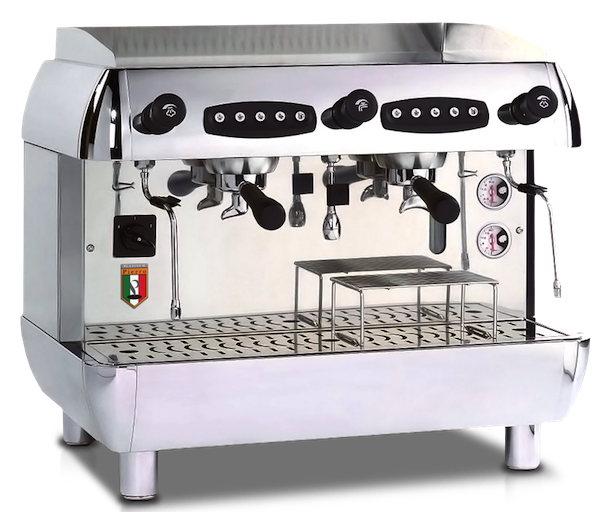 Designed and built with guaranteed Italian components, this espresso coffee machine is well suited for the Australian Market and will serve you long into the future. 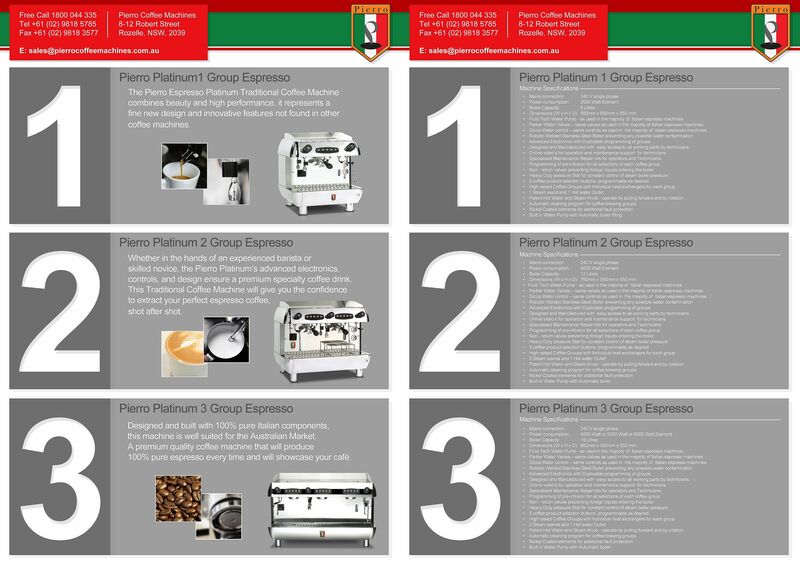 Pierro make it easy to buy espresso machines on line.